The importance of a website for any type of business or organisation is now undisputable. With the mad rush of businesses towards the worldwide web, sticking to the ‘traditional’ way could be disastrous for your business. Think about building a website to create an online presence for your business. Think about reaching more people who are interested in your products or services anytime anywhere. And best of all, think about getting customised website design for optimum results. Customised or ready-to-use? 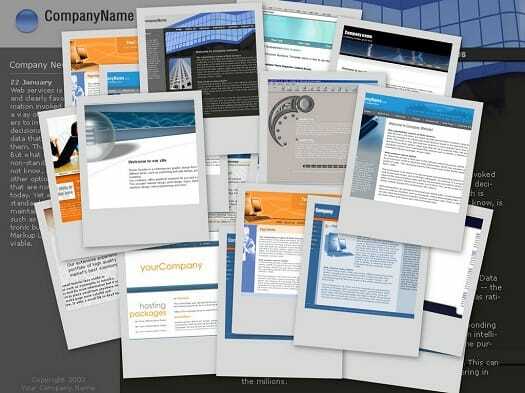 Ready-to-use website templates are easier to put together and, of course, cheaper. However, you should think twice before going for speed and cost rather than quality and better results. The thing about ready-to-use website templates is that a load of other businesses will be using it too (and even your competitors!). Remember, your website will bring your business on the bigger world of internet marketing and building your image is very important. Customise to maximise. Here is a website’s primary goal: “Attract viewers, entice buyers, and generate sales”. It’s really easier said than done for website development need serious consideration. However, it would be a lot easier if you will customise your website design to achieve this goal. A customised website can specifically express your company’s brand and reputation. It can also include features and tools that you particularly need to bring your products and services to your customers. Consider these. It is best to choose creative and innovative website developers to help you with your customised website design. First, think about the kind of image you would like to portray. From this you can conceptualise on what colour to use on your pages, the font style, size, your logo and the graphics that you will use. Aside from that, also think about your contents. They should be both informative and interesting as to appeal to readers and entice them to read more and avail of your products and services. And most importantly, there comes navigation. A proper and user-friendly navigation could work wonders for your website. Always remember that viewers tend to be impatient online and would immediately switch to other websites if your navigation does not get them to their desired pages fast. Building a customised website is an important thing to consider in website development. An efficiently built customised website can bring in more viewers, convert them into buyers and ultimately generate sales. To help you achieve this goal, think about hiring a team of expert customised website developers. And with proper coordination and planning, you will soon have your very own customised website up and running and, of course, giving you optimum results.